Actor, Producer. Theatre, Film, Television. These words, when used in reference to Lorraine Rodriguez-Reyes, describe creative pathways on which a consummate artist can relentlessly pursue her passion. Lorraine received her MFA from Harvard’s American Repertory Theatre (A.R.T. )/Moscow Art Theatre Institute For Advanced Theatre Training illuminating an acting career that has led her to the stages of Cherry Lane Theatre (Verse Chorus Verse), Mint Theatre (On The Edge), Repertorio Español (La Gringa), Theatre Row (A Bicycle Country, Dog Day Afternoon), and so many others. Lorraine’s love of character development is what makes her such a versatile actor, and she insists it’s difficult to choose favorites. But if pressed, she may tell you she’s quite fond of Three Sisters, performed at Columbia Stages; Dostoevsky Demons, performed at Moscow Art Theatre; and Melancholy, a show she did at the beginning of her career at Harvard, directed by Scott Zigler; and the role of La Extraña in De Dónde at The Looking Glass Theatre which earned her an OOBer Award. Lorraine’s on-camera work is nearly as prolific as her stage work. Some highlights include, in television, Lorraine was cast on the HBO mega-hit series, The Sopranos, as Nurse Ramirez, and over at ABC she was cast in a recurring Guest Star role on “What Would You Do?” In film, Lorraine again joined team HBO as part of the HBO International Latino Film Festival as Carmen in Taught To Hate. Another of her many film projects, Willets Point, an independent film by TJ Collins, made its World Premiere at the Quad Cinema in New York City. For her performance as Doris, one of Willets Point’s leads, Lorraine was nominated for Best Dramatic Actress at The Long Island International Film Expo. Lorraine’s credits as Producer are no less impressive. At the Atlantic Theatre she produced the reading of The Genius by Daniel Mitura and a reading of Kathleen McGhee-Anderson's new play A Shift in Gravity, directed by Ricardo Khan at The Alice Griffin Jewel Box Theater at The Pershing Square Signature Center in Manhattan. Featuring Golden Globe and Emmy Award winner S. Epatha Merkerson ("Law & Order"), and Screen Actors Guild Award winner Peri Gilpin("Frasier"). A benefit reading of Gloria, a brand new screenplay adaptation of F. Scott Fitzgerald's masterpiece The Beautiful and Damned at The Mainstage Theater at Playwrights Horizons. at Cherry Lane she produced the Stripped Festival in association with Barefoot Theatre Company and East 3rd Productions; at Theatre Row, the Israel Horovitz Festival Reading and A Bicycle Country by Pulitzer Prize Winner, Nilo Cruz; and at the Gene Frankel, Weird Sisters. Also with East 3rd Productions she produced Strange Snow by Steven Metcalf, Mary Esther (conceived by Christopher Petit and written by Nick Zagone), and the Enter Playwright Reading Festival. Lorraine’s credits as a Film Producer include the Award Winning short films Tape Worm and Capicu. And these are but a few of her credits. 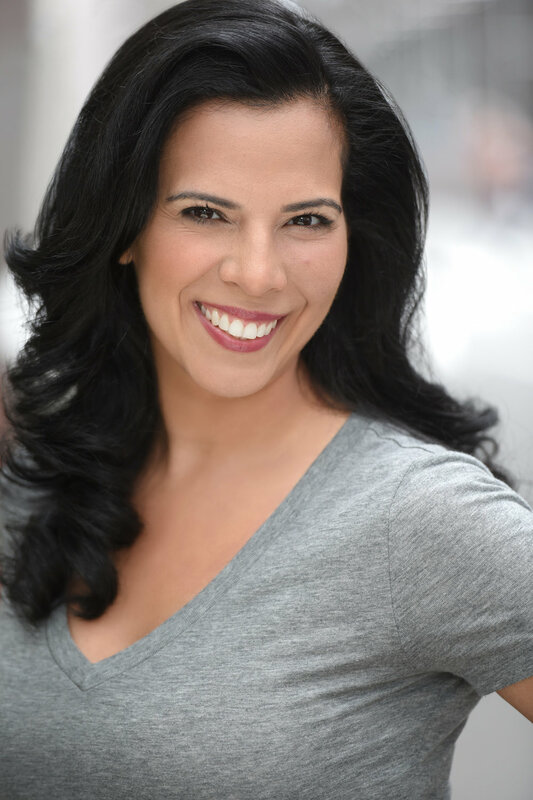 Lorraine is currently producing the feature film Eli Moran in NYC. © 2015 Lorraine-Rodíguez-Reyes Images may not be used without written consent.